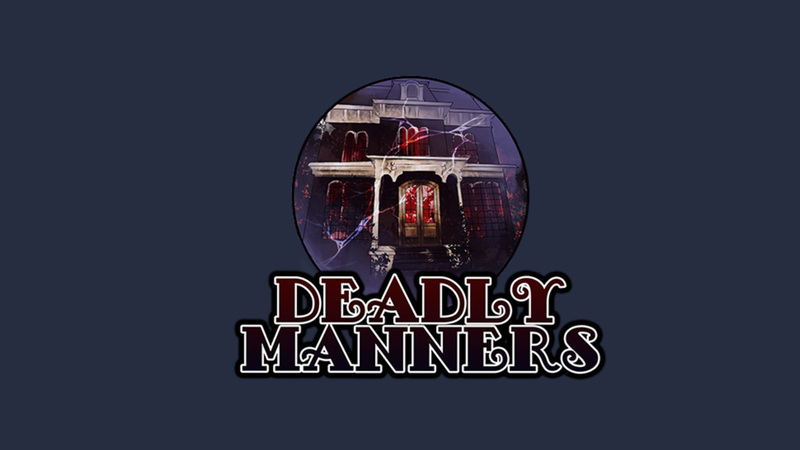 Deadly Manners feels like an Agatha Christie novel: stock full of interesting characters, clues, and its period piece charm. It’s a recently-finished podcast with a star-studded cast: Kristen Bell, Levar Burton, and RuPaul. The series is created by The Paragon Collective, who last year produced a similarly murderous podcast known as Darkest Night. This ten-part series narrated by LeVar Burton is set in 1954 at the winter dinner party of Veronica Billings (Kristen Bell). Veronica, her husband William (Denis O’Hare), and their adopted daughter Olivia (Alisha Boe) have to placate rowdy guests during an understaffed evening. The party is snowed in and experiences rolling blackouts; in the middle of the chaos a murder occurs, and everyone is suspected. With continuing blackouts, the party must find the killer quickly or risk another murder. The house’s staff are few and far between: the chef; Beatrice, the maid (Elizabeth McLaughlin); and George, the butler (Mark Berry). Among the guests are Veronica’s social rival Barbra Dupont (Alona Tal), the silent film star James Eggly (David Cummings), and the drunk xenophobic senator Rodger Clark (Timothy Simons), and tensions are high between the socialites and politicians. During the pandemonium, Veronica tries to keep the party going with hired performers (one of whom is a fortune teller being voiced by RuPaul!) and an excess of alcohol. Deadly Manners examines present-day problems such as racism and sexism by distancing it with the setting of 1954. The interactions with Olivia, the Billings’s adopted daughter from Liberia, illustrate intense sexism and racism, sometimes from men of power such as senator Roger Clark. The podcast does not hold back with its caricatures of high society: the gold digger, the elderly bachelor, the politician, and the secretive help. However, it does not follow every played-out twist associated with melodramatic mysteries. Instead it tries to give new twists, hinting at them throughout the episodes. Deadly Manners outshines basic mystery audiobooks with its use of sound effects; everything from footsteps to breaking glass is utilized. This aids in world creation, giving the listener a sense of something more than just mere words. The podcast uses a dual audio sensation. This is when the listener can hear different things in each headphone, helping put the listener in the story’s world. Glass shattering is heard in one ear, people’s reactionary gasps in the next. Each episode pulls back a layer of the characters, revealing clues about potential motives and unsavoury secrets all leading to the murderous reveal in the last episode. Telling clues in each episode makes re-listening enjoyable, adding new layers to characters and their choices.